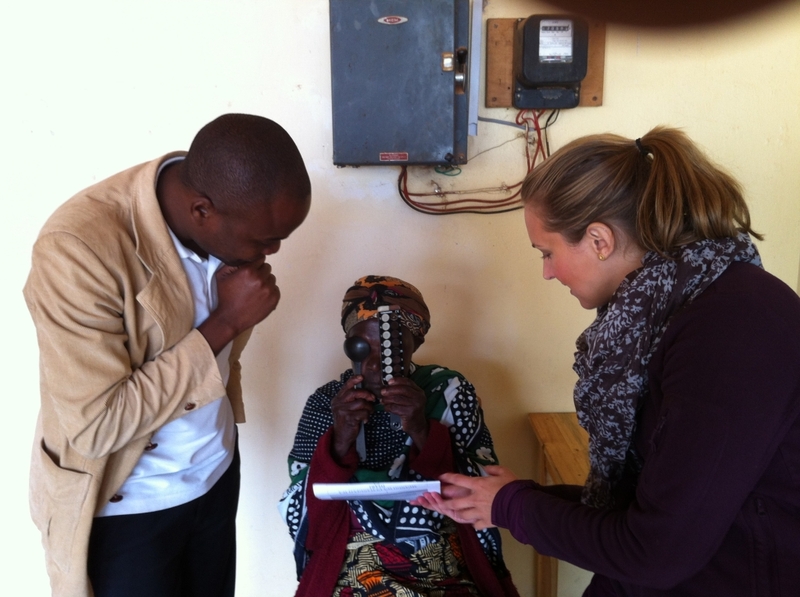 Dr. Peter Chapa and McGill nurse Maggie Wilson with a Day Centre patient. 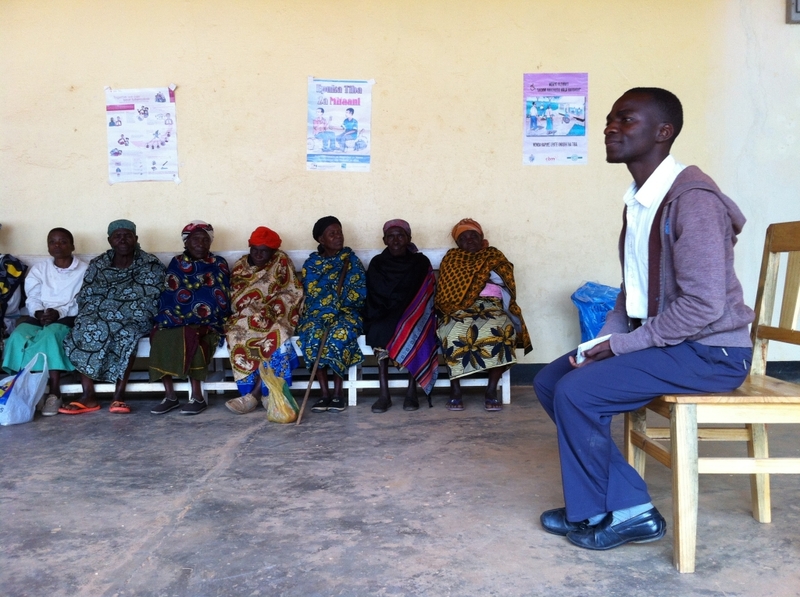 Health educator George Sanga explains basic eye assessment to our seniors. Under the leadership of TANWAT Company Hospital Director Edmund Munubi and Highlands Hope Umbrella Coordinator Betty Liduke, the Seniors Day Centre at TANWAT continues to welcome about 50 seniors to monthly gatherings at the hospital's Care and Treatment Centre. These sessions reduce the isolation of our elders and provide them with health and safety information as well as very basic health care. The medical staff of the hospital led by Dr. Peter Chapa, along with health education expert George Sanga work with Edmund and Betty and a number of Highlands Hope volunteers to assess the needs of seniors and link them to geriatric care that is otherwise not available to them in Njombe Region. These leaders identified eye care as a particular need and have now begun a systematic approach to evaluating these needs. This new initiative is being undertaken in collaboration with the Ingram School of Nursing at McGill University. 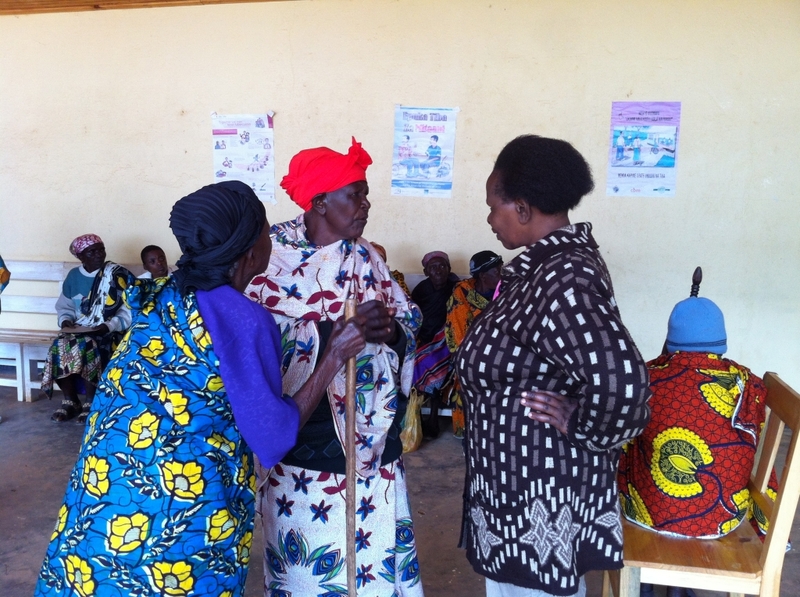 Ingram MSc student Maggie Wilson is currently in Njombe and is assisting with the Seniors Day Centre. Two McGill-affiliated doctors, Alexandra Orr and Andy Kalevar, are working with the Day Centre to develop a more comprehensive approach to eye care for seniors in the region. send a further report on it.